I love clothes, of course I do, but I hate shopping. Yes I really do. Therefore anywhere I can buy gorgeous clothes online for my family and myself is a big plus in my book. I was recently introduced to the website UNIQLO. 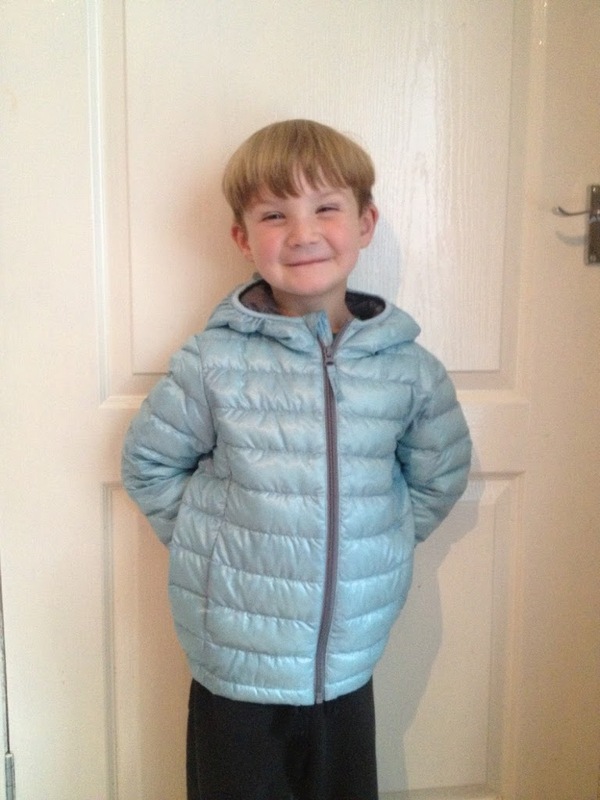 UNIQLO has introduced it’s first ever range of children’s clothing to it’s UK market. This collection contains favourites from the adult collection sized down which fit all the way from Newborns up to 12 year olds. 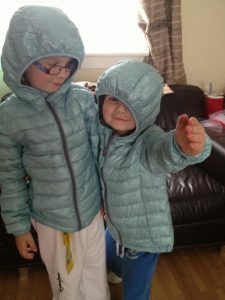 I chose a Poly Pilled Down jacket for the boys in a gorgeous, unusual, light blue colour, which is warm enough for those cold and wet Autumn days, yet still not too warm when the sun pops into the sky. The boys loved them and thought they looked like polar bears with the hoods up. 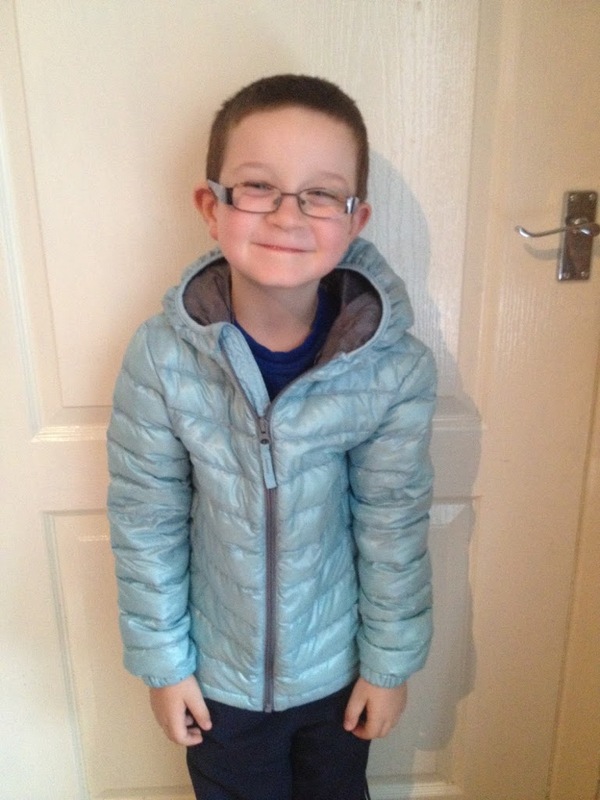 The jackets even have little name tags sewn in for writing their names on, perfect when they both have the same jacket. I got my other half a gorgeous pink coloured shift for a wedding we had, but forgot to get a picture of him in it. 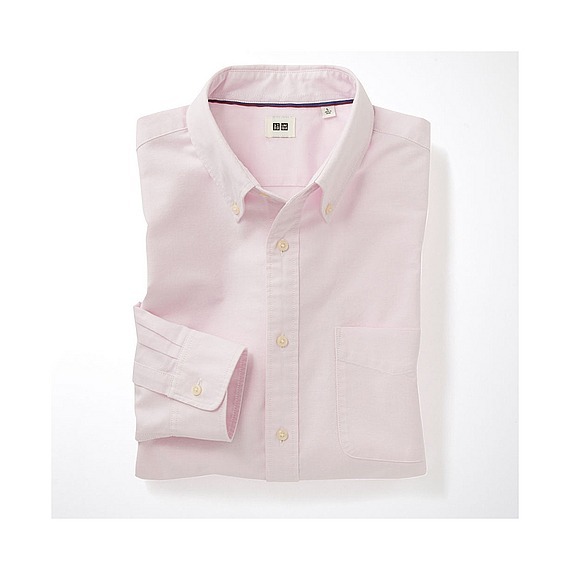 It was a great fit in the Oxford Long Sleeve fit and a gorgeous pink shade. He wasn’t sure about the buttons on the collar but once it was on he thought it looked great. And I have to say I agreed. Great fit, great material and a lovely colour. 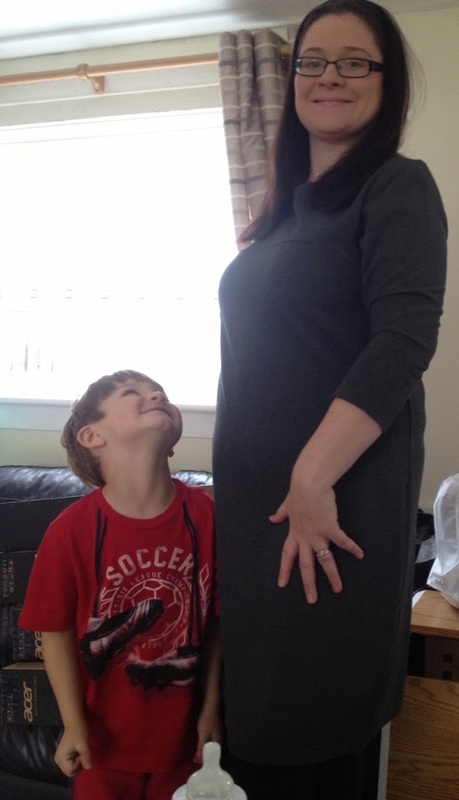 I am short of clothes, last year I was pregnant for most of it and well I was fed up of maternity clothes. After I had Aria, I got a little fed up of not quite fitting into most of the clothes, I was either too big of too small. I had a giant clear out, as you do, which left me with very little. Getting to chose some items from UNIQLO was a great excuse to treat myself. 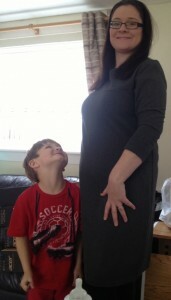 I got a gorgeous 3/4 length sleeve grey dress. 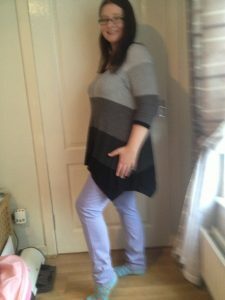 Which can be worn on it’s own to dress up a little with long boots or tights for work or dressed down with some leggings for everyday casual but smart wear. I really love how versatile this dress is. I also got some very cute cerise pink stretch jeans and some gorgeous lilac colour leggings. Both could be dressed up for a day out or worn down for a day lounging about. 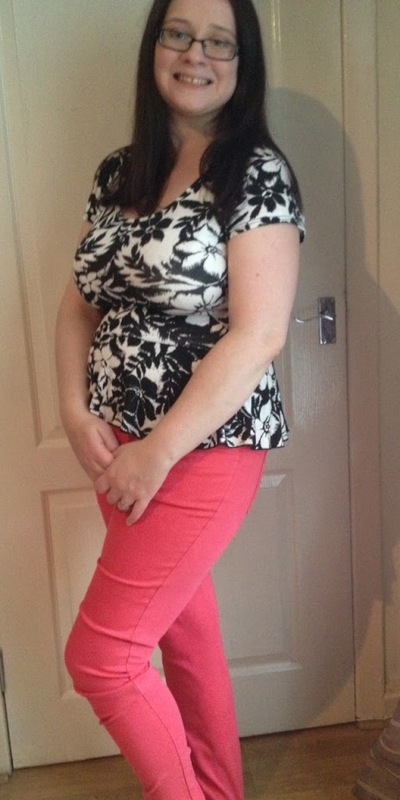 I loved how comfortable both were, they fitted great and were flattering, even for tight, stretchy material. The colours were fab, bright but not in your face. What do you think? This was the first time I’ve shopped at UNIQLO and the prices are great value for money from their new Autumn/Winter range starting at a mere £5.90. This is definitely somewhere I’ll be shopping more often. The colours, quality and prices are outstanding. 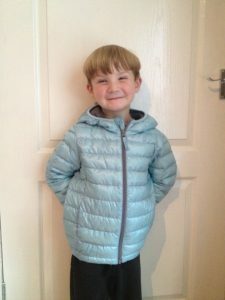 For £100 I bought both the boys a decent jacket each, hubby a shirt for a wedding and for myself I bought 2 pairs of skinny fit jeans and a dress/top. Pretty good value for money I thought. I didn’t get anything for baby girl as she’s at that in between stage and to be honest has loads of clothes, where as I have very little that fit me properly. I feel the 3 pieces I bought from here for myself make a good start to my wardrobe. What 3 pieces would you have bought?